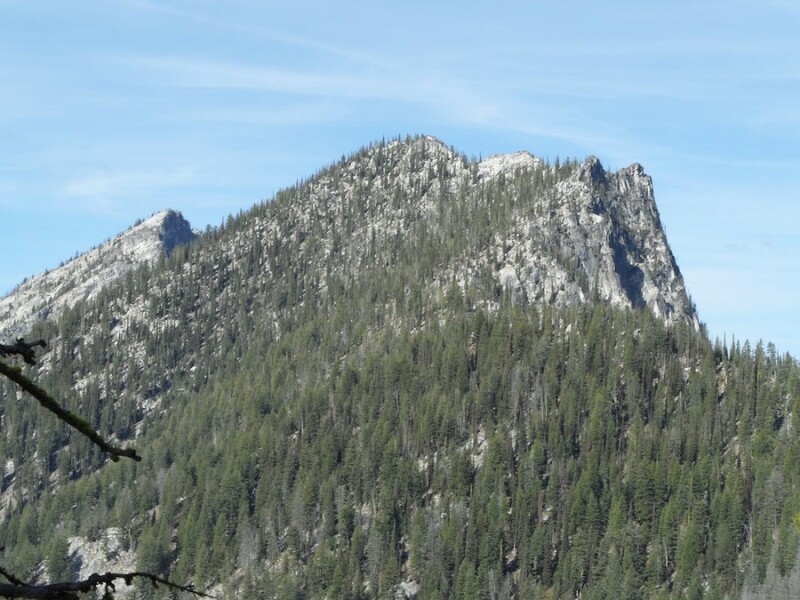 This peak is the easternmost peak on the impressive east-west Hum ridge line that parallels Lick Creek and the Lick Creek Road. The ridge contains six peaks with 300+ feet of prominence and sufficient exposed granite to challenge the most ambitious mountaineers. The west end of the ridge is anchored by Humdinger Peak and the west end by Peak 8409 (Hum #5). The other peaks, from west to east, are Peak 8380 (Hum Peak), Peak 8380 (Ho Peak), Peak 8556 (Hum #3) and Peak 8620 (Hum #4). John Platt and John Fadgen climbed four of the six peaks in August 2015 in one long, difficult day. 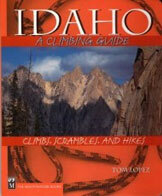 See their trip reports, which are linked on the pages for each peak, for additional details. They climbed this peak, which also proved to be a difficult mountaineering problem and a first ascent, in September of 2015. See the links below. USGS Enos Lake. 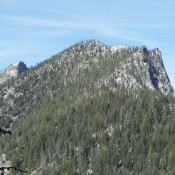 Access this peak from the Lick Creek Road. 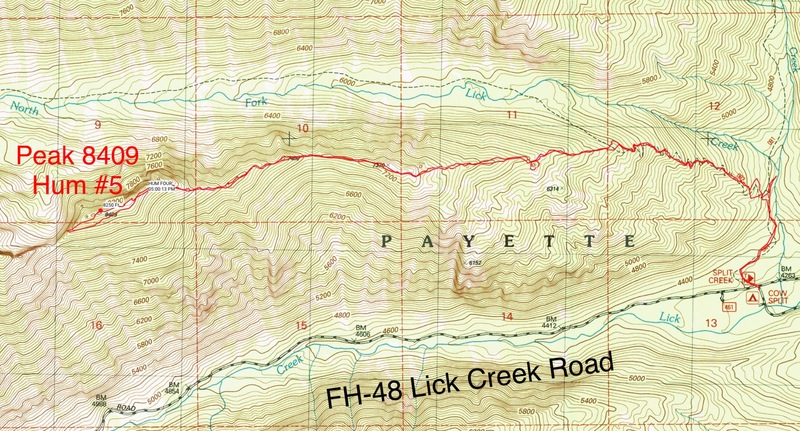 (B)(3) FH-48 Yellow Pine/Lick Creek Road, page 136. Follow the road down and east from Lick Creek Summit to the Split Creek Trailhead. 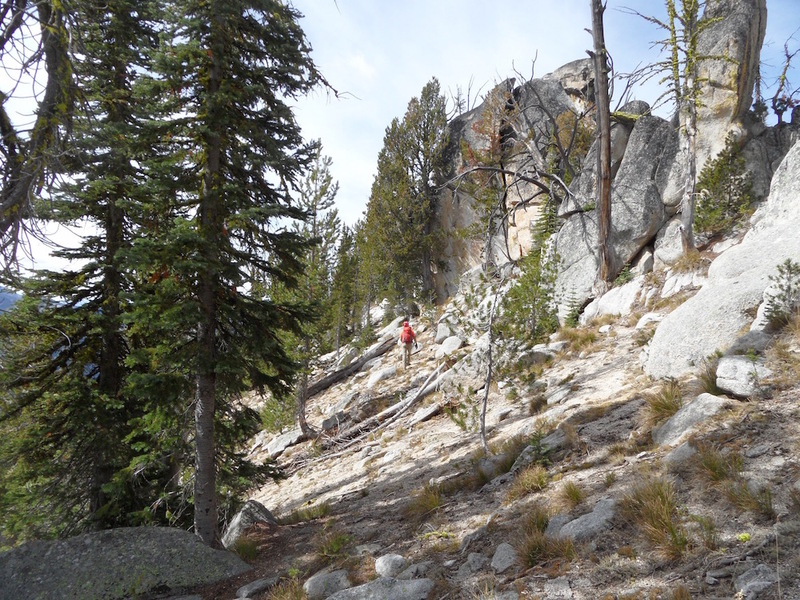 (d) FST-081, Split Creek/Loon Lake Trail, page 136. FST-082, North Fork Lick Creek Trail.This trail is in poor condition. Hike up FST-081 to its junction with FST-082. Turn west on FST-082 and ascend it to roughly 6,100 feet. Leave the trail and follow the ridge top toward the summit. The ridge is decorated with granite, towers and arches which can be passed on the south side of the ridge. Before reaching the summit you will have to bypass an impressive false summit. 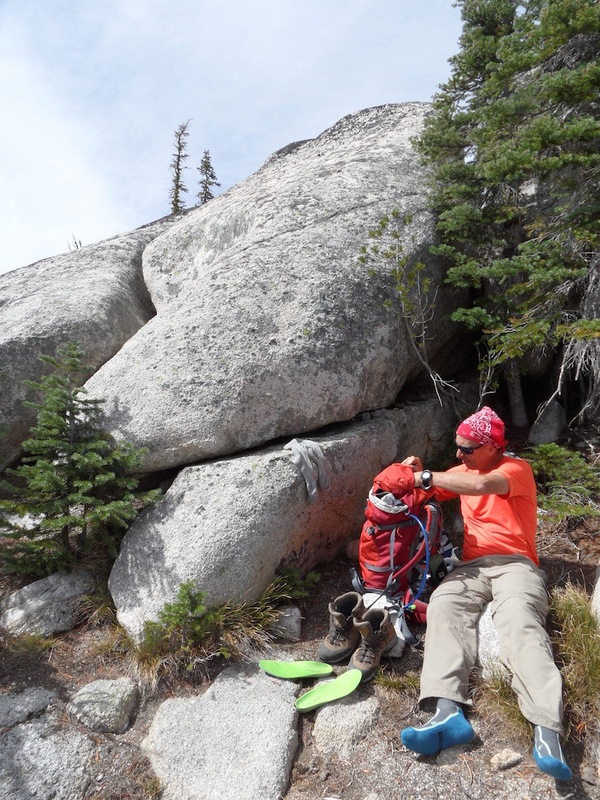 John Platt measured the round trip at 9.7 miles with 5,185 feet of gain.